If you measure employee engagement using Staff Turnover, you’re well off mark. Leadership expert Zoë Routh offers us a more meaningful and practical way to measure employee engagement and its drivers. Stacey: ‘Employee Engagement’ is on almost every strategic plan, but people struggle to measure it meaningfully. What is employee engagement, in your words? Zoë: Employee engagement is when an individual goes beyond the requirements of their job to actively seek to improve their role, their team or their organisation in some way. We can see this in action in a healthy executive team, where the individuals are not only concerned about the performance of their own team, but also their peers’ teams and the whole organisation. We can see this in action in a team working actively on their culture. And we can see it in action in conversations where individuals are comfortable to freely give constructive feedback without fear of reprisal from their leaders. I think the most useful measure of employee engagement is the Employee Net Promoter Score (eNPS), applied to both their manager and their organisation as a whole. Stacey: If we want to move the measure of employee engagement in the right direction, what kinds things matter most? Zoë: One of the important drivers is building tribes, where there is a sense of identity of each team and the organisation. And where individuals have a sense of belonging to both. Engagement conversations: these use the language of relationships and apologising is a good example. Challenge conversations: these use the language of beliefs and it’s often about questioning the status quo or sacred cows. Collaboration conversations: these use the language of ideas and often are simply about idea generation. Performance conversations: these use the language of feedback, like corrective feedback. 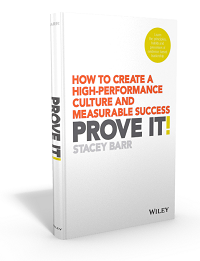 Stacey: How we can measure the drivers of employee engagement? Zoë: For the three example drivers I just described, there are a few ways to measure them, or get evidence of how they’re going. For the driver of building a tribe, where there is a sense of identity and belonging, the Employee Net Promoter Score survey can collect data about these. For the driver of having a cadence of interaction, it’s relatively easy to track the occurrence of the daily, weekly and quarterly meetings. But it’s also useful to track how closely those meetings actually follow the agendas I recommend for them (in my book, Loyalty). And for the driver of mastering leadership conversations, there are two useful things to track. Firstly, leaders can use a self assessment of their level of comfort when they have those four types of conversations I mentioned. And secondly, to gauge leaders’ competence in having those conversations, peer feedback can be tracked. It’s worth mentioning that the drivers of employee engagement for a specific organisation might be different to the three examples I gave. In my book, Loyalty, I have some self-assessments and reflection questions to help people to prioritise which employee engagement drivers to start with, based on where they are now. Staff Turnover is most definitely not a measure of employee engagement. How do you define employee engagement, and how do you measure it? What are the drivers of employee engagement your organisation focuses on, and do you also measure those? Great post…have you come across Office Vibe for measuring employee engagement? No I haven’t Bob. Does your organisation use it? I’d be keen to find out more about it from users. I will check out their website for more info too. 2. Not for Profit Organizations?